Toughen up your '05-'12 Ford Mustang and give it that distinct "muscle car" look with our one (1) piece Decklid Black-Out Graphic Kit. Graphic is precut and ready to install here in Silver Metallic - NO TRIMMING required. 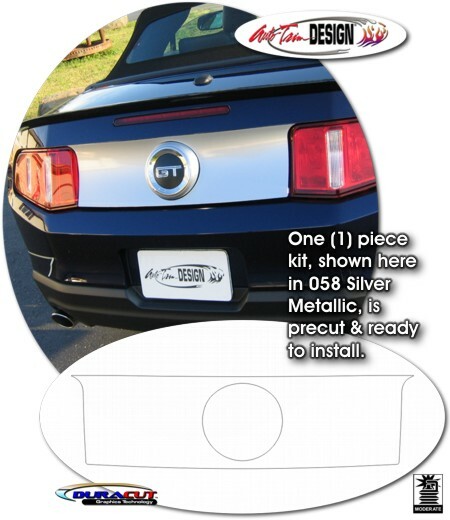 Kit consists of a prefitted and contoured piece as shown and specifically fits any '05-'12 Ford Mustang factory rear lid. It will not fit any other vehicle.